Apparently this week my brain has kicked itself into overdrive. Don't ask me why, I cannot explain it. Today's post is all about technology and how much it has absolutely ingrained itself in everything we do, cheeky little thing! I totally get that it's 2013, and that you're reading this via the interwebs...awkward, but let's pretend technology wasn't so advanced *gasp* and go back to the time when we actually had to talk to each other via our voices and not our keyboards. It's like the alternate ending to the Little Mermaid and Ursula takes Ariel's iPhone instead of her voice. Oh yeah, I went there. Yesterday I was on the phone with one of my best friends. I met her in middle school, but we hated each other then (very common with most of my friends these days #weird), so we truly became friends somewhere around our sophomore year in high school. Carol (short for Caroline), if you're reading this, and you better be (; , yes, I mean you. I love Carol because she is smart, shares my same values and beliefs, and because she sends me encouraging snapchats like this little gem. Supportive friends are a must, yo. But this post is not about Carol. Oh no, that'd be too easy. When we were on the phone, like I previously mentioned before ADD got the best of me, I mentioned how long it had been since we talked and she said "Yeah I thought about that so that's why I snapchatted you!" and I was like "haha, it's funny that we only talk through snap chats now!" (I swear, I talk exactly like that.) And then we talked about school and she mentioned having a hard semester and I swear my exact words were "Oh yeah, I saw your tweet about nursing clinicals. How's that going?" Seriously, I said that. And maybe it's just me, but I find that quite sad. I literally cannot remember the last time we talked just about mundane daily things, yet we call each other best friends. This of course made me start thinking all about life and about how communication now is so watered down. I thought, am I really being a good bff by not calling or making plans, but just snapchatting or tweeting at her every now and then? And the answer is no. 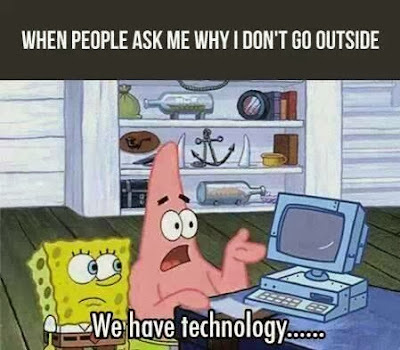 Now a days, my whole life is centered around technology. I have an iPad, a MacBook, and an iPhone and I am constantly doing something on one of them. I obsess over answering emails right away, constantly refreshing twitter to get the most up to date tweets, and checking facebook or instagram to see what people are up to. I text 5 times as much as I use my actual phone minutes. From now on, I'm going to make an effort to live more in the real world and put more effort into my friendships face-to-face when possible. Or at least talking, rather than tweeting, to my friends. And this is how. Everyone eats and everyone shops. I love to randomly call people and say "Hey, I'm running over to the mall, wanna come?" I never had to plan anything in advance, and it's an easy way to catch up while running my errands so I don't get fussed by my mum! It's a nice way to multi-task as no one likes to grocery shop or run errands by themselves! This is quite easily the hardest thing for me to do. I am generally always doing something so when I think about someone, I just text them. This is great for when you're in a pinch and have to say something quickly, but otherwise, just call them. I've started calling people when I'm walking somewhere on campus, when I'm waiting for class to start, or even when I'm in line somewhere and I'm just bored. It saves me from being bored but gives me the perfect amount of time to call and check up on someone! Even if you have to schedule a certain day once a week to call and catch up, do it. I absolutely love it when I tell someone I have a big test or assignment coming up and they remember and send me a little text the day of. I know I said you should call, but in this case, texts are obviously fine. Just try to be as thoughtful as you can and if you notice someone is having a bad day or you know they have a test coming up, send them something encouraging. As I said earlier, supportive friends are the best! A little goes a long way and it only takes a second to be kind! I know, I know, I've spent this whole post raving about the evils of technology taking over, but sometimes, it can actually be good. There, I said it. In my case, going to school away from home, things like FaceTime and Skype are really helpful. They give you one step up from phone calls as you can actually see the person. I also have many friends that I met over twitter because of blogging, so in that case only tweeting at them is actually okay. But that's the only exception! It seems so easy and self-explanatory, but in this world of emails and tweets and text messages, it can be really easy for real communication to get lost. It takes a bit more effort, but the pay off is better, closer, longer lasting friendships, and isn't that the point of friendship in the first place? Is it just me or does everyone have this problem? 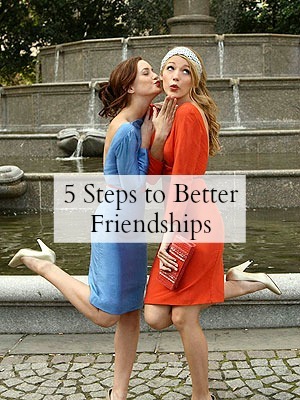 How do you keep up with your friends whilst keeping up with your busy schedule? It has been a beneficial year for me as wide as my process goes. I recently dependable external casting a spot online to trouble marriage up to http://www.grabmyessayonline.com/ - custom writing website however I realised it is negative an mild chore. It is a salubrious fad that you grab us done the actions in the pedantic cosmos else I would retain sank in this.